We carry several skin care lines to address pigmentation, fine lines and wrinkles, and overall skin health, which include Zo Skin Health, Topix, and Elta MD. In addition we carry a large assortment of vitamins and supplements to help maintain your overall health and well-being..Please call for pricing. Already know which products you want? Give us a call or send us an email and we’d be happy to take your order and ship it to your house. 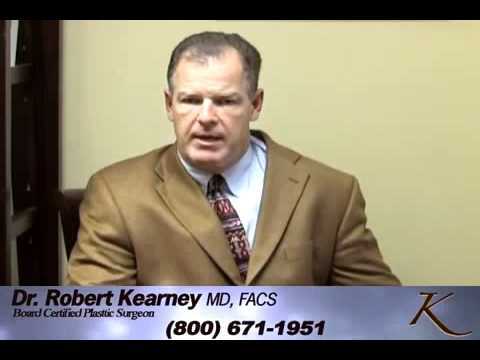 San Diego cosmetic surgeon, Dr. Kearney, discusses skincare options at his La Jolla cosmetic surgery practice. Dr. Kearney performs the peel under light sedation and you may go home the same day. Light activity is recommended for the first couple of days and most patients are finished peeling within seven to eight days. Your skin will be pink for a few weeks following the procedure and this can be easily covered with makeup. You may be a candidate for a Croton Oil peel if you have deep lines or wrinkling around your eyes and mouth, skin discoloration or superficial acne scarring and wish to have more youthful appearing skin. There is significant tightening of the skin with a Croton Oil peel. Dr. Kearney usually performs Croton Oil peels in conjunction with other cosmetic surgery procedures under general anesthesia. Sometimes this procedure can be performed under a lighter sedation. Fraxel Laser II resurfacing is a gentle, non-invasive skin rejuvenation laser that helps you rediscover the skin of your youth and offers rapid healing time. You may be a candidate for the Fraxel Laser if you have brown spots, melasma, fine lines and wrinkles or acne scarring. The Fraxel helps tighten your skin and reduce pore size! Patients usually require 3-4 sessions spaced 2-4 weeks apart, depending on your skin condition and schedule. Since the Fraxel only treats 20-30% of your skin at a time, downtime is minimal. Most patients experience some pinkness and minimal swelling which usually subsides in 2-3 days. To learn more about our many skin care options such as a Croton Oil peel or the Fraxel Laser, please contact us at (858) 677-9352 or fill out our online form.